Calling all Royal Engineers who participated in the Lower Swansea Valley clearance in the early sixties, especially 48 Squadron RE and 129 Plant Squadron RE (Walsall TA). Your memories, photographs and any plans and documentation will be invaluable as we complete the history of White Rock. Please email info@friendsofwhiterock.org.uk . This page draws heavily on The Lower Swansea Valley Project, edited by K.J. Hilton, Longmans 1966. Copies are available in Swansea libraries. The Lower Swansea Valley was more than an eye sore. It was a blight, the worst possible advertisement of the town to visitors and investors. 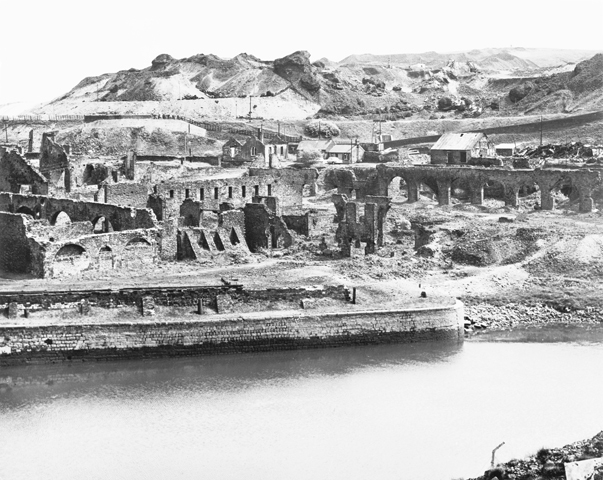 Something had to be done, but with the benefit of hindsight today’s Swansea citizens wish that more of Swansea’s heritage had been preserved as a monument to our industrial past. The Friends of White Rock and others are working to document and celebrate this heritage. Detailed plans of the Lower Swansea Valley were drawn up based on aerial photography by Hunting Surveys Ltd on 24 January 1962 (sortie HSL/UK/62/173), and on-the-ground surveys and interpretation by Swansea University staff. The thirty three aerial photographs appear as a mosaic inside and on the cover of The Lower Swansea Valley Project, though the resolution in the reproductions is very low. 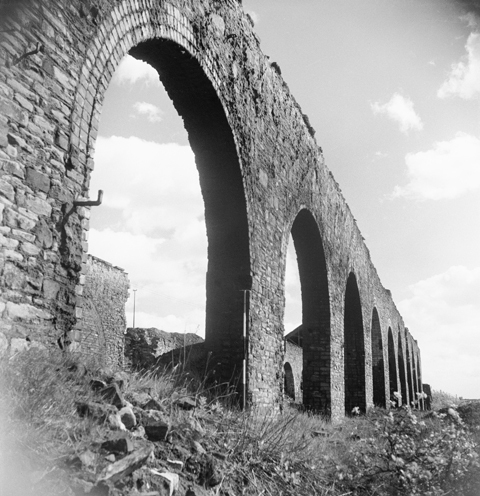 The negatives were reported to be in the Geography Department of University College Swansea in 1966, but so far a search has not uncovered them. 1963. Preliminary work by 48 Squadron Royal Engineers. May and June 1965. Demolition and clearance by 291 Plant Squadron R.E. (T.A. ), headquarters in Walsall, at a Training Camp in Swansea. 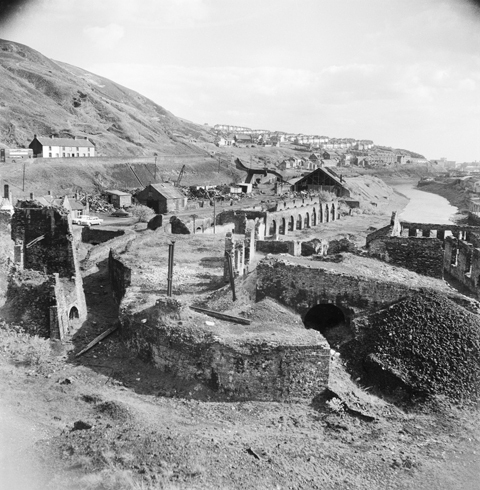 In addition to White Rock the Royal Engineers carried out demolition and clearance at four other sites in the Lower Swansea Valley. Initial survey by the 53rd (Welsh) Division RE (TA). Field and plant troops of the Regiment began work on 4 February 1962 and continued at weekends until 25 March. Subsequently considerable work was done on the site by an International Voluntary Survey Work Camp and others. Contact the Friends of White Rock at info@friendsofwhiterock.org.uk .